In today’s post we are looking at Multivitamins and what we consider a good multivitamin and which types of multivitamins that should be avoided. Are you one of the millions of people taking a multivitamin supplement? How do you know if it is working for you? It is highly recommended testing the products, use the results of blood test that your Doctor runs, checking for the vitamins and mineral levels in your body. There are many multivitamins options to select from on the market today. The price ranges vary from cheap to expensive, and it is not a good idea to just go by the prices alone. Be mindful of the advertisers. There are many companies that will pump up the advertising and trying to get you to believe, that their product is much better than it really is. The vitamin panel blood test, will reveal exactly how your body is absorbing the nutrients from the multivitamin supplement you are taking, use this information to evaluate the benefits of the product. The question of who makes the best multivitamin, is best answered by identifying what ingredients are used producing the best multivitamins. 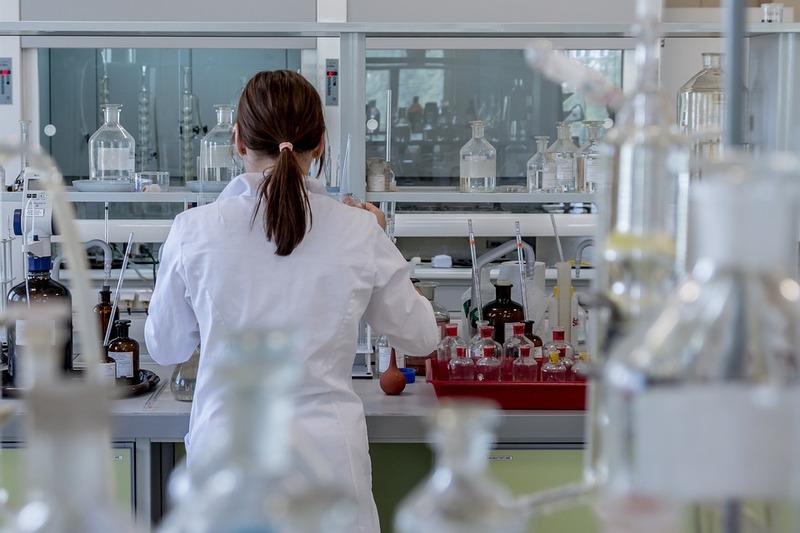 The company’s who are manufacturing these supplements must be reputable and follow the FDA guidelines and the GMP Standards to stay in business. Ingredients that go into a good multivitamin will contain a wide spectrum of essential vitamins and minerals that are easily absorbed by the body. Having a well-balanced multivitamin that contains all the essential vitamins from the A, D, E, K and all the B’s vitamins as well. Minerals like calcium, iron, zinc, manganese, copper and chromium is something that the body need. Be on the lookout for cheaper substitutes that sound like the real thing. In the past, when I have taken the cheaper multivitamin, it would leave a very bad after-taste, that aftertaste comes from the ingredients that are not giving your body any benefits. That is another very good motivator to find the right multivitamin supplement, that supplies you with everything you need and does not have any unwanted side-effects. When considering the brand of the multivitamin, remember that not all are using the same quality of ingredients. Even if they have the words “organic” in the title, check the ingredients list to see if they are using any synthetic ingredients as fillers. This can be misleading and reduce the effectiveness of the product. Taking a daily multivitamin supplement is a great way to provide yourself with a health insurance for your body. But it does not replace the need to plan and eat a healthy diet! Sometimes we must learn the hard way, and this is exactly what happened to me. Even with taking a very good daily supplement, my health still deteriorated because of the lack of focus on choosing the right foods. We all owe it to ourselves; to be honest in how we think about our dietary choices. Sometimes it takes losing some of your ability to function, to get your attention and cause you to re-evaluate things. Once you have your diet under control, it is still important to cover any gaps in the nutrition, even with the best planning, sometimes we miss things in our busy lives. There are other factors that are beyond our control that can affect the needs our bodies are going to face during a day or week. Good habits like taking a good daily multivitamin supplement, will protect you from the unexpected changes that we do not see coming. There are also ways to determine a score for your favorite brand of vitamins, minerals, multivitamins or supplements. It is called an Orac Score. What is the Orac Score? The acronym ORAC stands for oxygen radical absorbance capacity. What it does is measures the ability of a food or any other substance to quench oxygen radicals in a test tube. Why is that important when looking at the multivitamin supplement you are considering? Due to all the bad things people are facing daily, such as poor diet, highly stressful jobs, toxic chemicals, sunlight or bad habits like smoking. Our bodies are fighting free radical damage and antioxidants protect the healthy cells and slow the growth of malignant or cancerous cells. 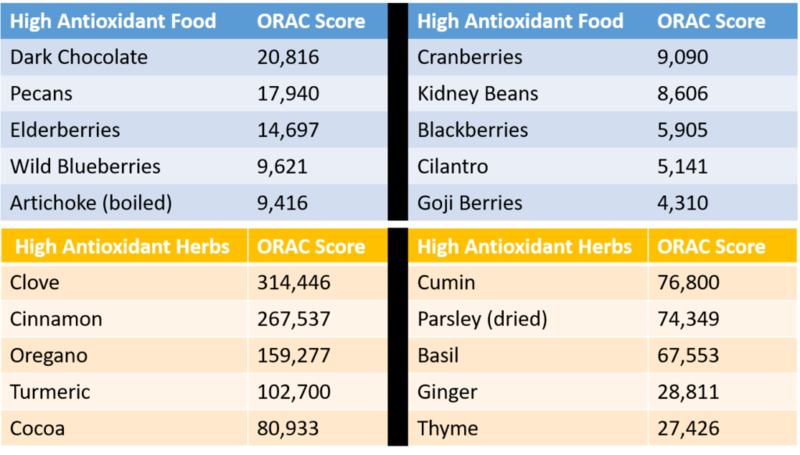 One of the most interesting things is how much higher the ORAC score is for the herbs than it is for the foods. The most important thing to consider is; making sure the body has what it needs to repair itself and slow down the aging process. The higher the ORAC score the better equipped your body will be to repair the damage from the free radicals. My recommendation for a daily multivitamin supplement is Sustain by Avisae and has an ORAC score of 92,928 combine that with a good healthy diet plan and your body will be equipped to repair itself properly. The best whole food multivitamin reviews will go through a process of identifying what the ingredients are and send the products to third party labs to have the results verified. These types of reviews really mean something to the consumer. Otherwise you are subjected to the advertisement tricks that are used to convince people they are getting something, which they are not getting. Reviews that are conducted in this manner must have the resources to do the test and have the experts to interpret the data that comes from the test. It always makes me wonder what the motivation is to conduct the test? Most of the time test are being run to prove or confirm something to someone… this is true for any type of product that is being manufactured. That is why it’s good to check out your information from several sources before making any decisions. The sources that are there for the purpose of providing an unbiased review will tend to carry more weight that those that are conducted by company’s who stand to make money from a favorable review. What goes into a good multivitamin, is high quality ingredients, which provide the body with the essential vitamins and minerals. These vitamins and minerals are needed to repair the damages caused by the exposure to free radicals in our daily lives. This helps people to age better and retain their youthful attributes. The benefits that can be found in the right multivitamin supplement are going to affect how you value the product. Therefore, it is so important to evaluate the benefits of all the ingredients and the full spectrum of the product, if you must buy multiple products to gain the benefits received from one product. The value of the single product is much more, how to determine that is up to the individual. A prudent person is going to take all the information into account. Please leave your comments, suggestions, or questions in the section at the end of the post. Thanks for taking the time to read this post and please follow and share with friends who may benefits from this information. I never knew there was a good or a bad multivitamin. Now I know to check for citrate and ascorbate in good multivitamins, or oxide and carbonate in bad multivitamins. Also for foods and herbs with high ORAC score. I guess I have to start liking dark chocolate more than milk chocolate and make clove my best herb! Thank you for your comments and glad that you found the information useful. Another good tip is to pick food that have ingredients that you can pronounce easily. It was really an interesting topic you discuss in your article. I am currently taking prenatal vitamins while breastfeeding my 2 months old baby. It was always really hard for me to choose the right one that will give me and my baby all the required nutrients and vitamins to supplement my food. My only guidline was the price. And now I understand it was not the right one. The ORAC score is new to me and it was quite informative. In my diet I use most if the high antioxidant herbs but never tought about their importance. 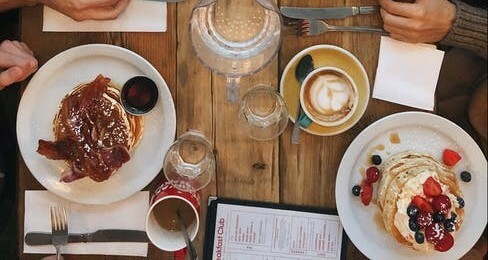 Those are just thing that are known to my food palate since childhood and I am positively surprised to read about it. I already took couple snapshots of your article to refere to when choosing my next prenatal vitamins and minerals. It will help my to look for the “good” and “bad” words in their ingredients and descriptions. Thank you for your comments and glad that you found the information useful. Learning to read and interpret the nutritional labels and the ingredients is something that we all can benefits from. It is important to check with your Doctors before trying something new. I have taken the white papers to every Doctor that discusses nutrition and they all have approved of the supplement. Because of that we have used the Avisae products to supplement our children’s diet with the vitamins and minerals they need without all the sugar that comes in childrens vitamins. Our children our 10 and 8 now so they are not little babies anymore! This was very interesting to read. I had never heard of ORAC scores and I enjoyed the chart you shared. I have been taking a few random pills for a variety of reasons without even considering that maybe I should have a blood test. After a doctor told me that my vitamin D levels were low, I started taking vitamin D but I don’t have any idea if I’m taking to much or too little. Maybe I don’t even need it any more now that I spend more time outside. The same goes for other things I’m taking: gingko for brain health, B-12 when I’m not eating meat, etc. I never even considered what might really be in those little pills or how they may be affecting my body. That’s crazy because I’m extremely cautious about taking medications and avoid them if at all possible. What a rediculous double-standard! You have given me much to think about. Thank you for the helpful information. Thank you for your comment Theresa, sounds like you are very conscientious about your health and glad that you make the connection between being in the sun for vitamin D. Most do not realize that they should get two hours of sun per day (without sunscreen) in order to get the recommended amount. 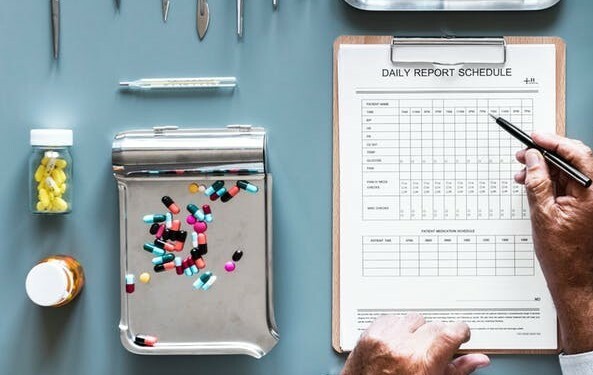 Your Doctor used a blood test to determine their recommendation for you to supplement the vitamin D, if they looked at that, they may have checked the full vitamin panel as well, just check with them to make sure. Multiitamin is very essential to us but unfortunately, a lot of people takes multivitamin supplements that are not worth it and the companies that produces them advertises as if their products is healthy. Well your article is informative and reminding me of the need for blood tests to confirm my multivitamin levels. Thanks for your comment and glad that it raised your awareness to the need for checking your blood test to confirm what you are doing with regards to taking supplements. Does the right multivitamin vary from person to person? Like are age, height, weight, activity levels, body fat levels, and gender factors that I should consider when choosing a multi vitamin. Right now I use a “Mega Men Sport” multivitamin from GNC because I spend all day being active, but I really don’t know how any of the ingredients actually affect the body. Thanks for your comment Bobby, everybody has different needs based on the list of items you mention, as well as the genetic factors that each of us have. The only way to really know how your supplement is affecting your body is to get the vitamin panel blood test and see where you are at. Then you can make a more educated evaluation of how it is doing. Before I found Sustain I was taking many different pills from Swanson Vitamins and my blood test back then were still showing some of my vitamin levels low. Every since taking Sustain my vitamin levels have been within normal ranges. Sustain multi-vitamins sound like they are an excellent product. I have not seen another multi-vitamin with so many high quality ingredients, and I really would like to get hold of it. Do you know if it is available in the UK? But I do agree that it is really important to eat a balanced diet full of vitamin and mineral rich foods, and to completely avoid “junk foods”, which is what I always try to do. Ver many thanks for your really helpful information. Thanks for your comments and glad you see the value in the Sustain product, as of right now it is available to order directly from Avisae for the USA and Canada. In time it will be available in other countries, if you are interested we can look into the shipping cost and work something out. This article provides an EXCELLENT guide into what makes a good multivitamin. I remember back in the day when I’d read through bodybuilding magazines and the name brand supplement companies that made their money off cheap products like preworkout anhydrous and whey concentrate caught onto the whole multivitamin hype and spent thousands creating four-page ads stating how their multivitamin was the best (while adding carbonate and oxide to their ingredients). The best one I’ve tried is called Opti-Men by Optimimum Nutrition whose product has been out and about far longer than the other name brand supplements. It’s stood the test of time and the ingredients have never changed nor been upgraded. I trust products like that. Thank you for your comment and for sharing your experience as well, you hit it right on the head talking about how it can be misleading and dangerous to blindly take the advertisers at their word. We have to test the products out, also agree that once you have a product that is working for you there is no reason to change it, unless something else changes that requires attention. So far I haven’t used Multi Vitamins but my parents both of them use them. I never understood the reason but today after reading this article, I understand how necessary and about the benefits it gives to us. This article explained really well about the nutrition in the multi vitamins. Thanks for your comments and glad you learned something from the information presented. Thank you for your insights and comments, glad to hear that you enjoyed the article and found the information useful. That is the goal to present the information in small reader’s digest size portions and in regular language for regular people to understand. Hi! Yes, I agree with you! We should test the multivitamins we take. That’s a very good tip. I’ll check to see if I spot “oxide” or “carbonate”. If I do, I’ll kiss goodbye that multivitamin. Thank you for introducing me to the ORAC score. I’ll pay lots of attention to it. And I’ll also check out this multivitamin supplement called Sustain by Avisae. It really has a good ORAC score. Thank you for your comments Henry, glad you got some useful information form this article. The ORAC score was introduced to me from the Avisae products and after researching have learned more about this and the other supplements that I am using to improve my own health conditions. Hopefully others will benefits as well. The multivitamins and minerals supplement promotion is on the increase and many people across the globe patronize these products but my question is, do people really know the daily allowance for these supplements? Do you know that excess vitamins and minerals can be toxic to the body ? Because I see people ingest these supplements like lollipop. Thanks for your comment and concern; you are correct in that people need to take a blood test to see where they are at before starting to take a daily multivitamin supplement. They may not need anything if their genetics are good and they are eating a healthy diet. For the most part people are not in the perfect conditions and will benefit from supplements.